Former Chief Inspector Gamache has been hunting killers his entire career and as the new commander of the Sûreté Academy, he is given the chance to combat the corruption and brutality that has been rife throughout the force. But when a former colleague and professor of the Sûreté Academy is found murdered, with a mysterious map of Three Pines in his possession, Gamache has an even tougher task ahead of him. 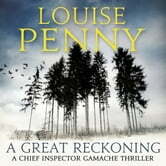 When suspicion turns to Gamache himself, and his possible involvement in the crime, the frantic search for answers takes the investigation to the village of Three Pines, where a series of shattering secrets are poised to be revealed . . . 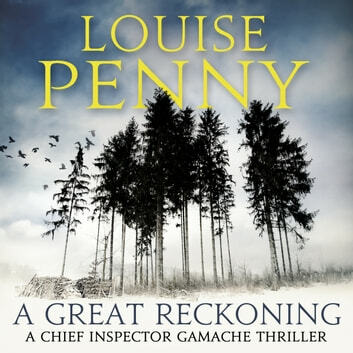 Ingenious, gripping, and powerful, A Great Reckoning is the new spellbinding novel from number one bestseller, Louise Penny. Evocative and atmospheric, this magnificent work of crime fiction will stay with you long after you listen to the final chapter.